Located on the 6th floor of the 4 star Be Hollywood! 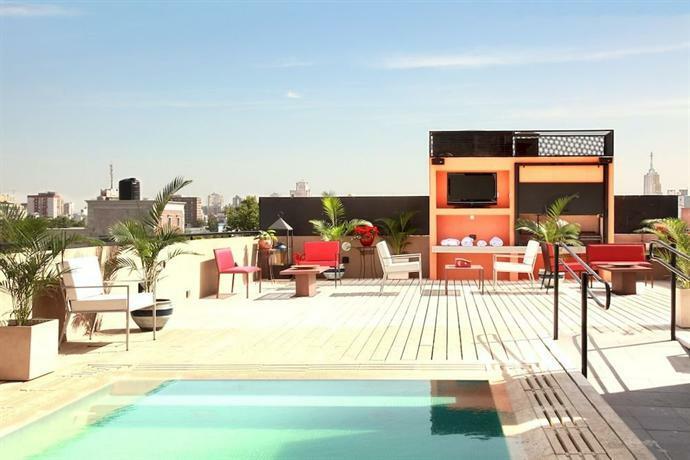 boutique hotel the rooftop pool offers limited skyline views of Buenos Aires. The walk-in outdoor pool features soft chaise loungers, a wood pool deck, shade planters, underwater pool lighting, and a tented shade pergola.